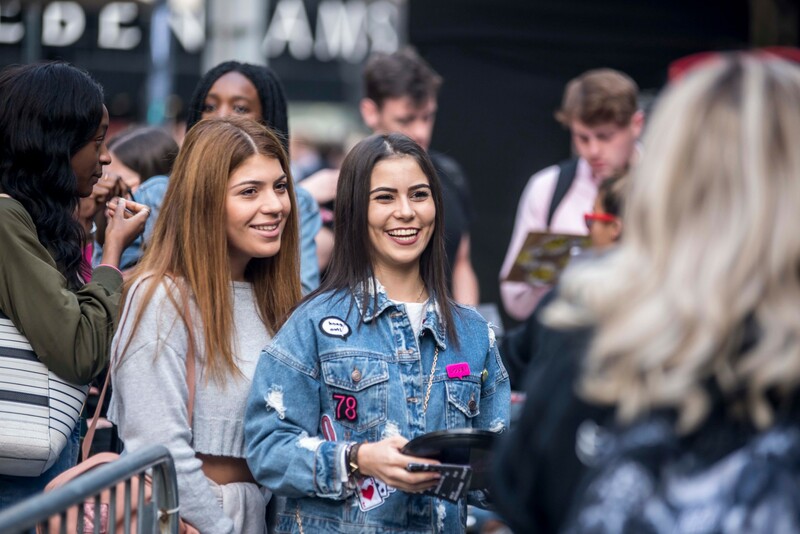 Manchester’s ultimate student shopping night returns on Tuesday 25 September with more than 160 stores and restaurants across Manchester Arndale and the city centre taking part. Students can snap up exclusive discounts of up to 30% off at city centre stores and up to 50% off at restaurants and eateries at the MCR Student Social, organised by Manchester BID (Manchester’s Business Improvement District) and Manchester Arndale. 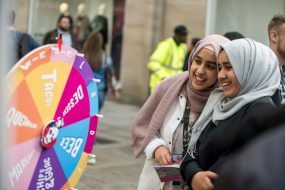 From 4pm – 9pm, the city centre will come alive with entertainment including Capital Manchester DJs, the MCR Student Fair, pop-up stalls and games, plus lots of freebies and giveaways. Ensuring students can create the ultimate #OOTD, Accessorize, All Saints, Boux Avenue, Burton, Clarks, Debenhams, Dorothy Perkins, Dr Martens, Dune, DW Sports, Evans, FootAsylum, Fossil, French Connection, G-Star Raw, H&M, Lipsy, Luke, Miss Selfridge, Monki, New Look, Oasis, Office, Oliver Bonas, Pretty Green, River Island, Schuh, Skechers, SockShop, Ted Baker, Timberland, Topshop, Topman, UGG, Urban Outfitters, Vans and Victoria’s Secret are among the stores offering 20% off while Levi’s is offering the biggest discount of the night with 30% off. Other discounts include 25% off at Ann Summers and Claire’s, 15% off at Pandora, Aspecto and Foot Locker and 10% off at & Other Stories, Mint Velvet, Goldsmiths and Deichmann. Students can make their digs insta-worthy with 20% off at Cath Kidston, Clas Ohlson, and Baytree Interiors and stock up on stationery ready for lectures with 20% off at Ryman and Paperchase – where there’s also a live DJ, free goody bags while stocks last, complimentary Malibu and in-store demos. Beauty buffs should head to Molton Brown in St Ann’s Square for complimentary hand and arm massages, complimentary prosecco and goody bags and Kiehls on King Street for free hand massages, afternoon tea & prosecco and goody bags with a £50+ spend. Plus there’s 30% off at The Body Shop, 20% off at Superdrug, 15% off at The Fragrance Shop and The Perfume Shop and 10% at Boots. If you’re in need of some pampering on the night Decent Cut and Nail Culture in Manchester Arndale are offering 10% off, Sergeant Caesar in Next has goody bags, free snacks and 20% off all full price hair cuts and Vidal Sassoon is offering £45 hair cuts with a free treatment and glass of prosecco, exclusively for the MCR Student Social. Stay connected this semester with 20% off line rental on selected Sim only and selected phone contracts at EE, 10% off selected mobile contracts at Vodafone, reduced price Sim only deals at Three and 20% off accessories and discounts on refresh contracts at O2, where there’s also a live DJ and recruitment opportunities. Need new glasses for the new academic year, then head to Framed Opticians on St Ann’s Passage for 25% off glasses and sunglasses or Specsavers in Manchester Arndale for a free eye test, plus 50% off the £69 and over range and free goody bags. Selfridges Exchange Square will be hosting an evening of exclusive offers with discounts of up to 20% off selected departments plus complimentary treats and interactive experiences while at Harvey Nichols there’s live DJ sets, free-flowing drinks and complimentary beauty treats alongside 10% off with the Harvey Nichols Rewards App. After hitting the shop floors, students can head for dinner and drinks at a range of bars and restaurants in Manchester Arndale and across the city centre. The best deals include 50% off classic pizza and pasta and 2 for 1 cocktails at Bella Italia in Manchester Arndale, 40% off food at Pizza Hut on Corporation Street, 30% off at Pizza Express on King Street or the Corn Exchange, 25% off your total food bill at Yo Sushi, 25% off food and 2 for 1 cocktails at Grafene on King Street, 20% off your total bill at Gino D’Acampo (in Next) and 10% off food at Nando’s. A whole host of other eateries including Bagel Nash, Caffe Nero, Chopstix Noodle Bar, Coffee Break, Costa Coffee, Druckers, Eat, Fruteiro Do Brasil, Fuel Juice Bar, Gino’s Gelato, Greggs, Krispy Kreme, Pizza Hut, Barburrito, Boost Juice Bar, Starbucks, Bella Italia, Bobo Tea, KFC, Waffle Island, Millie’s Cookies, McDonald’s, Taco Bell, Rollers and Spud-u-Like will be running special discounts and promotions and if you do your food shop at Aldi in Manchester Arndale on the night you’ll get £5 off when you spend £35! Head to Exchange Court (outside Next) and sign up to Amazon Prime Student to be in with the chance of winning a trip to New York! After that, grab a bite to eat in the Foodcourt and enjoy the roaming entertainment. Capital Manchester will be providing the soundtrack to the evening spinning the hottest hits. Matt & Phreds will be taking the party out onto the streets with their Heavy Beat Brass Band roaming gig. Be prepared for a fright as Grimfest, Scarewood and the Manchester Centre for Gothic Studies bring out some spooky games and zombies and take on the Breakout Manchester challenge to test your skill, logic and brain power. Other activities include Spin to Win with Barburitto, I Love MCR’s Eat a Manchester Tart in 30 seconds, Pure Gym’s beat the PT challenge (where you can also grab a free day pass), Boost Juice Bar’s basketball game, Crazy Pedro’s beer pong, the Crystal Maze Live challenge, the Trek Bike challenge for a chance to win a FX 2 Bike and prizes and giveaways from Black Dog Ballroom. 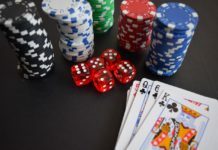 Win great prizes at The Printworks’ bucket pong challenge, experience virtual reality at STA Travel’s campervan and grab a free burger courtesy of Almost Famous. Debenhams will be giving make-up masterclasses and oxygen facial demos from Urban Decay, Kat Von D, Givenchy and Elizabeth Arden and students wanting to earn some extra cash during term time can sign up to work with the fun and friendly team at Mint People and enjoy flexible shifts, weekly pay and industry training. Get set for the new term and head down for games, giveaways and prizes from Barclays Bank, Benefit Cosmetics, Canal & River’s Trust, Greggs, LGBT Foundation, Lloyds Bank Market Street, Molton Brown, Paperchase, Sync Store, Sassoon Salon, Virgin Money Lounge and Whittard of Chelsea. Listen to the biggest hits from the DJ truck on New Cathedral Street. Opening times may vary. Check the website for details of the offer, or in store. Don’t forget to bring your student card. For full list of offers go to www.mcrstudentsocial.com and use #mcrstudentsocial to share your pics of the night. Previous articleCould the next anti-cancer drug be made from seafood?